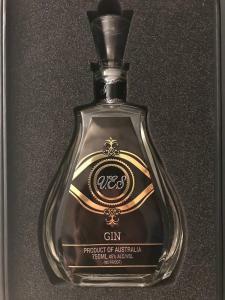 SYDNEY, NSW, AUSTRALIA, January 29, 2019 /EINPresswire.com/ — V.E.S 'No Hangover' Organic Vodka & Gin partner with the Hoboken International Film Festival. Two distinct international brands forge a friendship, aimed at connoisseur's of premium spirits, and movie buffs alike. And to be released, another world first in beverages, 'V.E.S Anti Ageing Enriched Mineral Water'. V.E.S Vodka & Gin and the Hoboken International Film Festival join forces to create a week of tasting and viewing pleasure. The Hoboken International Film Festival offers an insight into some of the worlds most talented Producers and Directors latest productions. Nominated as one of the worlds top 10 movie festivals, now into its 14th year, and attended by the industry elite, Celebrities, Actors, Award Winning Movie Stars, international Producers, Screenwriters and Directors,(the festival takes place between May 16th-May 24th 2019).